Sir Joan is situated in the center of Ibiza city, on walking distance from the nautical sporting clubs Ibiza La Nueva and Marina Botafoch. The ultimate luxury boutique hotel includes 38 rooms and suites overlooking the port and the old town. 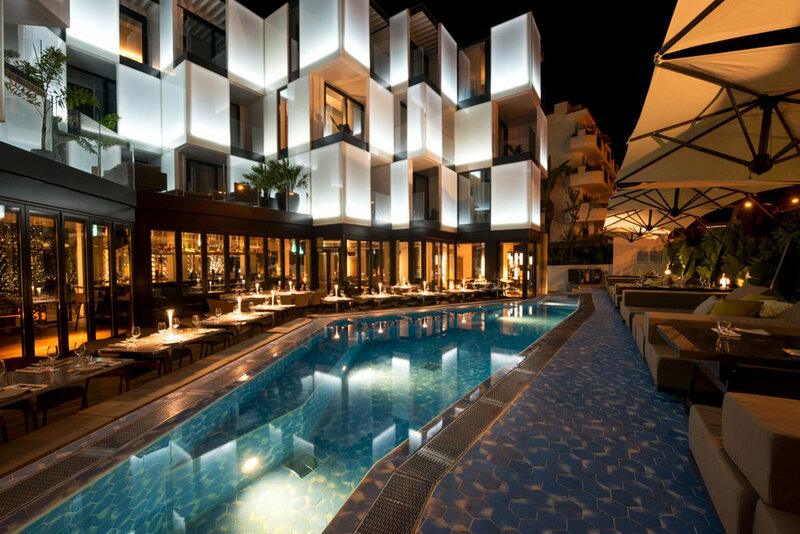 Designed by Baranowitz + Kronenberg, the award-winning architects and interior designers, Sir Joan pays homage to the maritime environment surrounding the hotel and the island’s bohemian lux. In this exciting setting, 4SeasonsSpa has engineered and built an outdoor hydrotherapy pool, next to the Hotel's iconic IZAKAYA Asian Kitchen & Bar.